“There are certain experiences—childbirth is one; moving is another—that nature and time definitely draw a curtain on, so you forget in between times how painful they are.” Katherine Graham, famed publisher of the Washington Post, wrote this famous quote in her Pulitzer Prize-winning memoir, Personal History. Most people believe that the joy of having children makes the pain of childbirth worthwhile, just as most seniors who relocate are happy with the outcome as well. Often, seniors are unable to accept that they can no longer live on their own. The facts just sneak up on them and they don't realize how much they need daily assistance of some kind. This time is very hard on families because the children must become the loving parents, doing what is best despite the stated intentions of the older one. Several years ago, three Universities joined together to study and write about this problem. The booklet, produced by Oregon State University, Washington State University, and the University of Idaho is still a valuable resource and we recommend it. 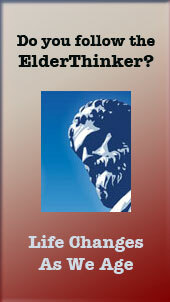 "Living Arrangements In Later Life" is available for download. It's possible to have better weather AND a lower cost of living. Emily Brandon, writing for U.S. News & World Report in June, 2007, lists the top ten bargain retirement spots in the US. Life brings us major moments; the birth of a child, the marriage of a sister, and helping older parents downsize and move. 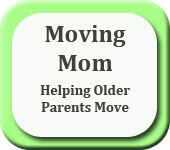 Moving our older folks is hard for everyone and the experience can be filled with many difficult events. There are many reasons why Seniors move to a new location. The may wish for a smaller home, or one that doesn't have stairs. The may want to be in a different climate where it's not so cold in the winter or so hot in the summer. Seniors move to be closer to loved ones, or because the cost of living is better in another place. They move because they want to be in a Senior community or they want better or closer medical care. But move they do, and those moves are usually a result of lifestyle changes such as retirement. If you're thinking about moving an aging parent into your home, there are some things you'll need to consider. Keep in mind that, unless you live alone, your decision will affect your entire family. It's not one to be made lightly. For example, consider the following. Independent Living describes a special community of older adults that might remind you of your college days. They come and go as they please and have their own furnishings, but have centralized meals delivered to them or in a community setting, transportation, social functions, cleaning services and laundry.